You introduce a laminated card which is covered in easily recognizable places from the world. Places like the Eiffel Tower, Niagara Falls or Stonehenge. You ask a spectator to do an imaginary trip to any of the nine famous sites depicted. You ask them to imagine themselves to be there. You then slowly reveal their thought of place. You probably ask yourself: "What's new here?" Martin Adams has taken a well known principle and turned it into a self-working no-memory-work required simplicity. Everything you need is 'hidden in plain sight'. This ebook teaches you everything you need to know to perform this amazing mind magic trick right away. 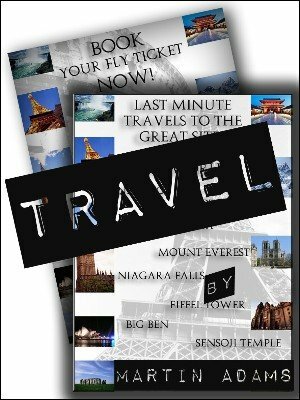 Includes colour design 'travel card' images to print out and use as you like. 1st edition 2009; 8 pages.